Juniper branches out with Southern roots firmly planted. 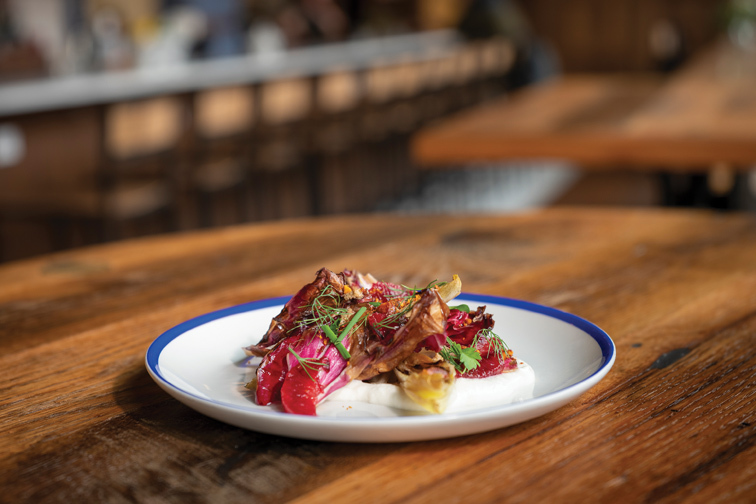 Workers in the bustling Central West End have had no problems finding Juniper in the past several months, ducking in for lunch, an earlier happy hour, later evenings and Sunday brunches. It’s Midtown location is perfectly situated for a bite before or after ball games, theater events, exhibits and most other St. Louis attractions. 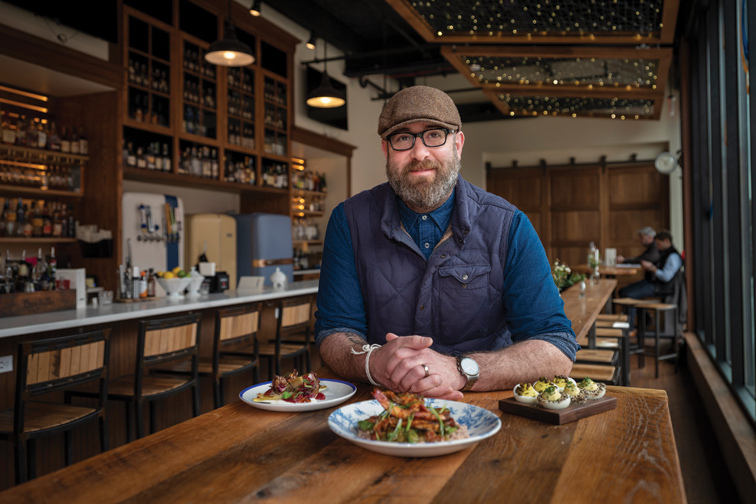 Owner and chef John Perkins moved the restaurant only a few scant blocks from Boyle to Laclede, but the space is larger, airier, more visible and includes a smoker and wood-fired grill that allow for a more expansive menu and improvements on the old one. 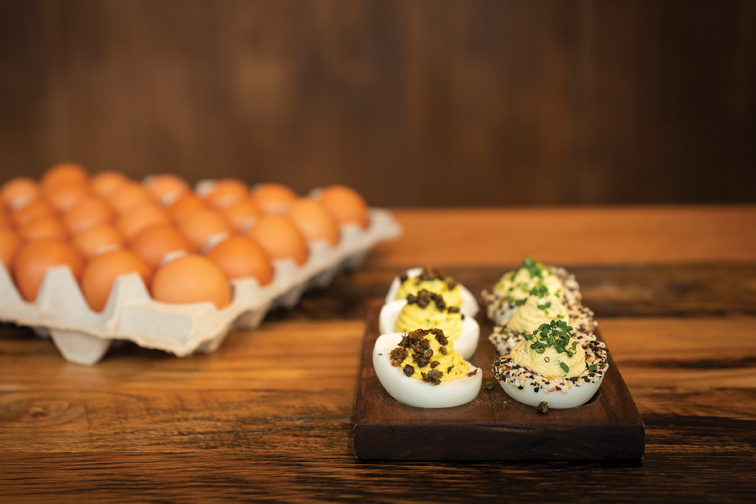 The faithfulness to the tradition of Southern cuisine is unchanged — but the ability to deliver it in its most delectable ways has changed for the better. John and his executive chef, Glenister Wells, overlook nothing in the sourcing and preparation. They purchase close to home as often as possible but maintain fidelity to the South in the flavors and textures on each plate. “We try to honor where the dishes come from. We like to ride that fine line between tradition and innovation. A lot of things are pretty straightforward, but we try to give people options with things that are a little more esoteric,” says John. 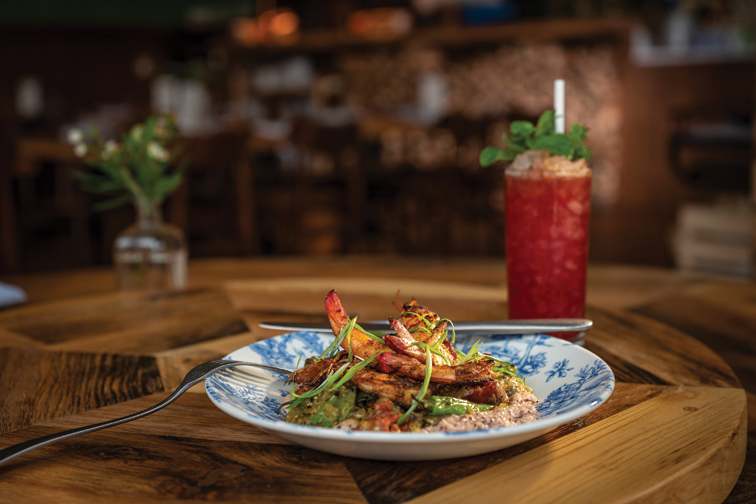 For example, the Southern staple shrimp and grits gets a twist from Perkins’ tomatillo sauce and “bloody butcher grits” made from red grits. They are courser than grits derived from white or yellow corn, and offer a dramatic, almost purplish presentation. Longtime patrons and new customers alike are along for the ride. St. Louisans are more open-minded than food experts in other large cities have given St. Louis credit for.